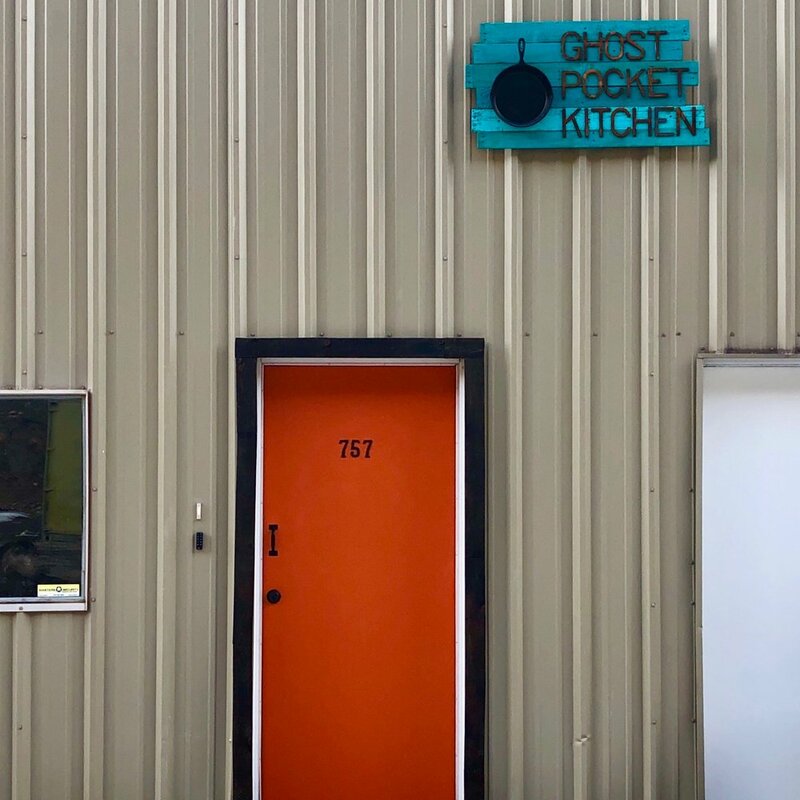 Ghost Pocket Kitchen is San Miguel County’s newest fully licensed shared-use commercial kitchen. Telluride has an abundance of amazing chefs, bakers, caterers, and a vibrant foodie scene. However, we saw a lack of affordable kitchen space for small businesses. We believe it’s important to establish a fairly priced commissary that can support the food start-up ecosystem in our community. We want to provide a clean, efficient, licensed facility with a laid-back vibe that encourages networking, creativity, economic growth and collaboration. We are a young company, and we expect our policies and flow to be dynamic. We intend to rent the kitchen to a handful of anchor tenants who pay a monthly membership, along with hourly rates available to those with a more sporadic need for space. We look forward to growing our kitchen and resources for small food businesses and the community. All workspace will promote a shared-use environment, encouraging collaboration (i.e. bulk purchasing opportunities and gig references). We will keep lines of communication open to receive input from our members and improve the experience for everyone. We look forward to working alongside you in Ghost Pocket Kitchen. Laura, Elena, and Geneva have spent a cumulative 22 years living and working in the Telluride community. Elena owns the beloved Ghost Town Coffee Shop on Main Street. She has a degree in Sustainable Food Systems which she has utilized in the ownership, development, and management of several kitchens throughout her career. Geneva and Laura own a custom event business called Back Pocket Creative with a focus on pop-up bars and inventive spaces. Geneva sits on Telluride Town Council and has a great understanding of business licensing and permits in the region, while Laura has years of music venue management and party planning experience. Together, we bring business management experience and networking opportunities for food and events in the region. Located in a warehouse building in Ilium, our 1200 square foot kitchen is designed to accommodate multiple activities and businesses at once. Cold, Frozen, and Dry storage is available to rent monthly, and we provide a variety of communal equipment for our members to use. We offer 24/7 access for monthly members, free wifi, parking, cleaning supplies and towels, and the ability to receive wholesale ingredient delivery. The facility utilizes comprehensive video surveillance of storage, parking, and work areas. Through the spring we will be remodeling an additional 1250 square feet of space upstairs to increase our storage and prep space capacity, as well as provide monthly desk space rental and a meeting area. Getting setup as a GPK member is a fairly easy process and we are here to help you figure out the type of registrations, permits, and certifications that you need to start scheduling time. Our Membership Checklist (Step 3) outlines the things that you'll need in order to become a member and start booking kitchen space from GPK. The Membership application tells us a little about you and your planned kitchen usage. This will help us understand your business so we can get you a custom quote for monthly use and storage. Once your application is approved we will schedule a tour of the facility, and see if working together is a good fit. Before you can start scheduling time with GPK you will need to upload a copy of the following documents into The Food Corridor's document page. - Proof of liability insurance with limits no less than $1,000,000 each occurrence, $2,000,000 general aggregate with Ghost Pocket LLC named as an additional insured. Once your paperwork is in order and your membership fee is paid you will be scheduled for a 1 hour kitchen orientation where you will review the GPK policies and procedures and sign a member agreement and liability agreement. This is the time when you will select a drop-in plan or choose to book using monthly prepaid hours. You can also purchase available storage at this time. You will be provided with door access and asked to provide information on any staff you plan on having access to the kitchen. The Food Corridor’s online scheduling calendar shows which members are scheduled for which spaces and what remains available. Monthly members will be able to book 60 days in advance, while drop-in users may book up to 15 days in advance. Certain equipment must be reserved with your booking in order to avoid confusion and ensure there are no surprises. What is the max amount of team members you might need to have in the kitchen at once? How did you hear about Ghost Pocket Kitchen? Have any questions or something else to share with us?